The issues of natural referencing. Referencing his site, it's expensive? Before embarking on an SEO job. How are we referring to his site? The 4 steps of a well-controlled natural referencing. It takes a long time to set up an SEO? Where to start natural referencing? Technical Optimization of a site. The link building, or off site optimization. Choosing a provider or an SEO agency. SEO (also called SEO, or Search Engine Optimization) is a major issue for every website. 95% of sites today are dependent on Google, in the sense that it is the latter that brings the majority of traffic. The traffic generated by the search engines is indeed extremely important, which is why it is essential to be well ranked on the strategic keywords related to your site. Do not burn the steps and start at the beginning: natural referencing, what is it concretely? Well, it's the fact of putting his site in the search engines and so to make it known. For example my main goal as a web marketing site might be to be in first place in Google when a user types "Web marketing for dummies". The problem you will tell me is that sites on the web marketing there must be hundreds, even thousands. So why would my site come first and not another? This is the issue of natural referencing and this is not really a random but a work that takes place in the long term. There are indeed several techniques to go up in the rankings of search engines, as we will see together. Before going into the details of these techniques, it is important to know that Google represents more than 90% of Internet searches in France and more generally in Europe (and even in the world, USA and China aside). Thus Google's search criteria will be the priority of any website that wants to reference its site. Beside Bing, among others, who nibbles the crumbs of the cake. 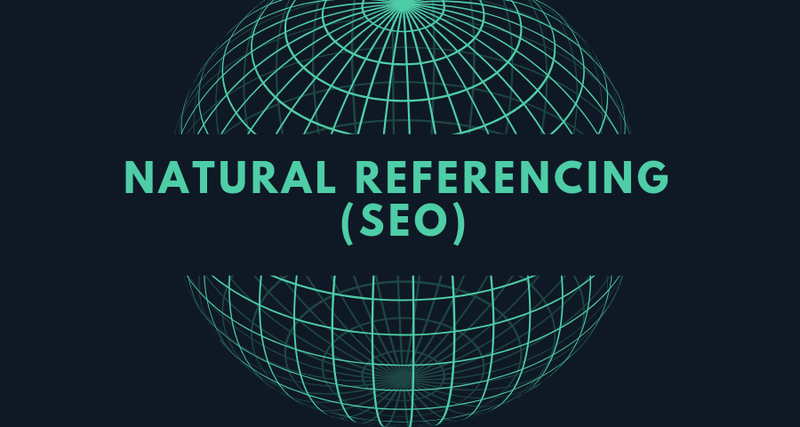 We must distinguish two things: natural referencing and paid search. SEO is totally free. It's free to appear in Google's index, regardless of your location, the number of pages on your site or the traffic that Google gives you. Free in the sense that in theory, you can choose to take everything in hand yourself and Google will never ask you a dime to improve your positioning. You can very well delegate your SEO (SEO) to a specialized company or a freelance specialist. There is also paid referencing (called SEM or SEA), which corresponds to the commercial links present on the Google search for example but we will come back to it later. Before embarking on a work of natural referencing that will quickly prove time-consuming (you will quickly understand), it is better to know the beast that we attack, that is to say Google. Google is old on the web, but very young in our lives since it appeared in 1998. It has cannibalize the market share of the engines little by little with innovations, new features and refinement of its algorithms. Feel free to read the pages provided for this purpose for a more comprehensive detail of these topics. Showing your site in Google is free and extremely simple. It is enough for that ... to do nothing. You have 9 chances out of 10 that Google finds your site alone and indexes it without you having anything to do. You can, however, force fate (or speed it up) by inserting links to your site on third-party sites. Google by crawling these, will also follow these links and discover your site. All this is only for Google to know your site. The real challenge and therefore the real challenge is to convince Google that your site is more relevant than those of your competitors on your strategic keywords. So how do we make sure that our site is more relevant than those of our competitors? We will first try to understand how Google analyzes a site. The so-called semantic stage: it is a question here of choosing the right keywords. 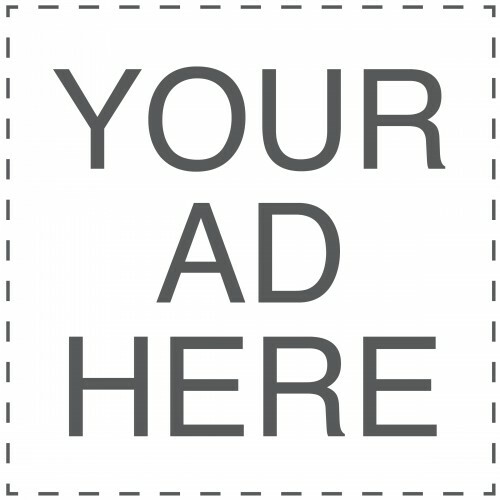 Is it better for me to position myself on the term "webmarketing" or "cybermarketing"? Or "emarketing"? Make sure you are positioning yourself on the terms that people are really looking for. Content optimization: there is a particular method for writing well on the Internet. Writing well means that the text will meet the expectations of users, will be well developed and complete and is relevant to your keywords. Technical Optimization or [on-site], This is the important technical part of SEO. It consists in optimizing technically its site. This can be the optimization of a code, the structural or architectural optimization of a site, the optimization of navigation and internal mesh, etc. Netlinking (or "linkbuilding"): the link building is the popularity of a site. Basically, Google trusts just as much what others think of you as it thinks of you. Thus, he will look at the number of sites that link to yours, synonymous with relevance to him. If your competitor has 5000 links and your site only 50. Google may judge your competitor's site more relevant than yours. In reality it is a little more complex than that since the quality of the links between enormously in account. In theory it is very long and tedious if you really want to optimize the SEO of your site. Afterwards, it also depends on the subject it deals with and therefore keywords that interest you. For example if you have a generalist site on literary criticism, to go back to the top of the ranking on interesting keywords (which could be "critical" or "literary criticism") it would be better to plan a few long weeks (months? Years! ?). Now if your site is about literary criticism of Hungarian books of the 15th century, you can imagine that the interesting keywords will be less contested. However, SEO is becoming an increasingly competitive medium, especially because of the development of niche businesses and even the simplest words in the past are starting to develop real competition. In any case, in order for a natural referencing to be useful, it is necessary to appear in the first 3 pages of research for a key word. Otherwise it turns out to be almost useless, if we look at the clickthrough rates on searches (92% of click rates are made in the first 3 pages, 68% on the first page). The more years pass, the more Google's algorithm is refined. The trend of recent years puts quality textual content particularly forward. Writing quality content is particularly time-consuming, especially if we add the structural organization of the latter which is also a factor of success, the recent SEO trends advocate even more than before the patience for the achievement of results. Once the information described above is well understood, you can venture into the long road to a good position. First thing to do: make sure you choose the keywords you want to position yourself on. For this, there are many tools. I recommend the use of a free and simple tool, made available by Google, the keyword generator. You will find in a much more detailed way on Superbibi the list of SEO tools in a general way or the SEO tools specific to the semantic analysis. The Google keyword generator for example shows the number of searches made each month on terms related to your site. It is a very useful tool since it informs you of the average number of searches carried out on the terms that interest you, in addition to advising you on semantically related and therefore potentially interesting terms. It will allow you to ensure that you are positioning yourself on the right terms, which are really sought by Internet users in Google. You should theoretically target one main keyword per page. However, each page, if the content is sufficiently developed should be able to bring what are called visits related to the long tail, that is to say searches consisting of more than 2 or 3 words, which are very specific and not very competitive. Once the keywords are defined for each page, you can develop your content around these keywords. It is advisable to write at least 250 words but the more there will be, the better. Go on a basis of 300 words per page when possible. These numbers are obviously generalist and write 200 words a page will not necessarily penalize, on the contrary. No need to repeat your keyword 100 times per page, writing content around the keyword, using synonyms and a minimal instance In theory, um will suffice to write an optimized text. For pages targeting the most competitive keywords, the keyword density (weighted, it's even better) will be more decisive, and quoting the word more than once will be a necessity. Remember to highlight your keyword when possible: bold, specific color, link on the word, everything is good to put a word in value. The organization of the content is also important, be it within the page with the title tags of different levels (a title tag 1, title tags 2, then title tags 3 = H1, H2 and H3, etc.). but also more generally by judiciously integrating these pages in the right place in your site. I may not go into too much detail here because it concerned the insiders and it would be like burning steps if I described everything right now. Just be aware that the first thing the engines will look at when visiting your site is the robots.txt file. This is a file to put at the root of your site that will be used to indicate to the engines what they can index and visit and what they should not especially take into account (for example user accounts, specific searches or pages without real interest for Google). But the main interest of a technical optimization will concern mainly the architectural organization of a site, the optimization of the navigation and the internal mesh in order to make the presence of Google and its understanding of the site more fluid. Do not forget also, code optimization. Feel free to visit the SEO section of the blog for more information on the subject. The link building aims to increase the popularity of your site in the eyes of Google. It's about gaining a maximum of links but not just any links. The more the links are contextualized and coming from popular sites, the more powerful they will be. So if the site of the Elysee makes a link to a site, it will be considered extremely important by Google. On the contrary, if a brand new site makes a link, the link will be taken into account but deemed less important by Google. Not all sites are equal according to Google. In the same way, if a cooking site makes a link to my blog, this link will be taken into account but will be of little value to Google. If a site dealing with web marketing makes a link to Superbibi, then, even if this site is less important to Google, this link will be much more valuable because it will come from a site of a similar or similar theme. There are different methods to develop your netlinking artificially. Do not hesitate to consult the various articles and guides of the blog which deal with this subject. Google penalties have always existed, but they are particularly in the spotlight since the last 2 big updates of the algorithm: Panda and Penguin. Panda for example penalizes sites that lack quality text content, and more generally sites with a ratio of pages / page quality too negative. Penguin checks him netlinking sites and if it is too artificial, it will penalize the site in question. These two particularly known penalties are only a drop of water among the ten penalties that exist at Google. SEO has democratized and that's good! Goodbye SEO voodoos who use mystical techniques to push your site up. Your first concern should be total transparency. Make sure the freelance or SEO agency is interested in the architecture of your site, its navigation and its netlinking. Beware of the famous technical audits, sometimes sold expensive, which are content to export an automatic scan. This scan is necessary but will represent only a small part of the work to be done, and above all will not necessarily require special expertise. Another important point: Google's SEO is changing enormously and very quickly. What was true a few years ago is not obsolete: it has become FALSE and will play AGAINST you. So make sure your future provider is someone dynamic, even passionate, which will ensure a certain freshness in terms of methods and expertise. Finally, a good SEO agency will tell you about your site and not just general precepts. She will explain to you clearly the changes to make and especially why changes are necessary. No shadows should remain. A general advice to finish: do not hesitate to consult several providers to get a better idea. SEO agencies are not lacking and they are very uneven. You will find a non exhaustive list of the main tools of SEO by following the link. To perfect your knowledge even more or to have some bites of recall, do not hesitate to consult the SEO articles published on this blog. Be careful to look at the date of publication, the older the articles, the more likely it is that the practice has evolved.